It may not look the part, but Nintendo’s handheld console hybrid is actually a little powerhouse. It runs games such as Legend of Zelda: Breath of the Wild like a pro, and even manages to output pretty solid frames on DOOM, and Wolfenstein 2. There are, however, one or two games out there that it simply cannot run all too well. Those games, it seems, will end up being “streamed” to the device. Weirdly enough, Ubisoft has announced that Assassin’s Creed: Odyssey is coming to Nintendo Switch, with streaming in mind. 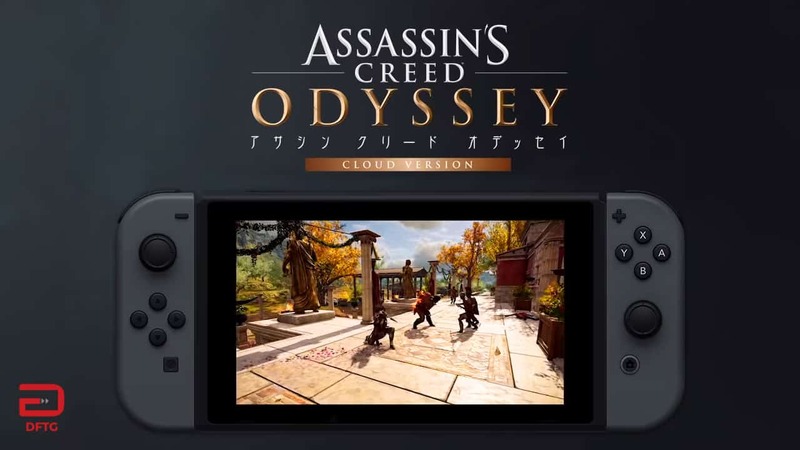 The first little caveat is that the particular version of Assassin’s Creed: Odyssey is a “cloud version” of the game. This is not a major issue, considering that anyone with proper bandwidth speeds will be able to play the game. The second caveat, however, might be a tiny bit more of an issue: it is only coming to Nintendo Switch, in Japan. Considering that the cloud version was announced during Nintendo’s recent Nintendo Direct event, the “Japanese-only” thing is not much of a surprise. However, what is a problem, is knowing that there are no plans to bring it to western audiences. Nintendo announced that the cloud version will be available via a ¥730 daily pass (R93 ZAR), or a ¥8,400 (R1 000 ZAR) full game pass, which will last for two years. It joins Resident Evil 7: Biohazard, which costs roughly a quarter of the price (¥2,000 or R255 ZAR), for only 180 days. Ubisoft confirmed that the game would stream at “almost perfect quality”, so your one-thousand bucks will at least be worth something… if you live in Japan. If you are keen, Assassin’s Creed: Odyssey will put you in the shoes of either Alexios or Kassandra, two ex-soldiers who lived during the Peloponnesian War. The game features heavy roleplaying elements, such as dialogue options, branching quests, multiple factions, endings and even a wide variety of romance options. It is pretty much Mass Effect, but with swords (do not quote me on that)! 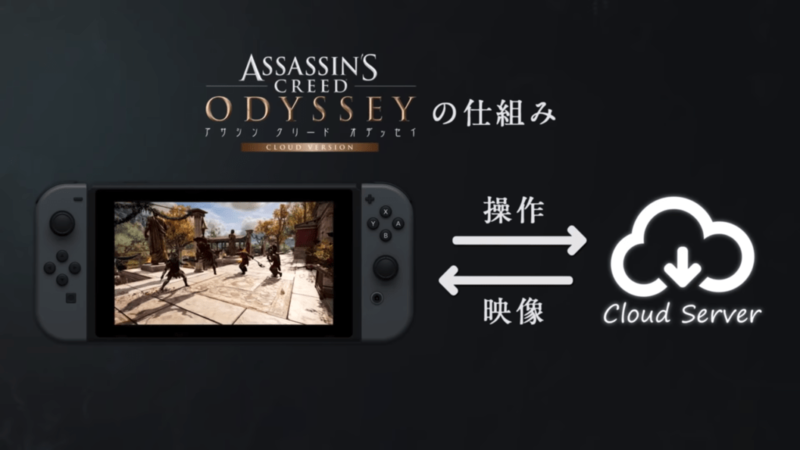 Assassin’s Creed: Odyssey is coming to Nintendo Switch, along with the console and PC versions on 5 October 2018. Previous articleAssassin’s Creed Odyssey map revealed – it really is big!